Long suffering users of the Vodafone network in the upper mountains may finally have something to cheer about. Over the next few months, Vodafone plans upgrades to base stations in Katoomba (and Scenic World), Leura, Wentworth Falls, Mt Vic, Lawson and other areas. To get the most out of them, you will need the newest handsets (capable of using 850MHz e.g. iPhone 4), but even older phones should see a benefit with some capacity upgrades. 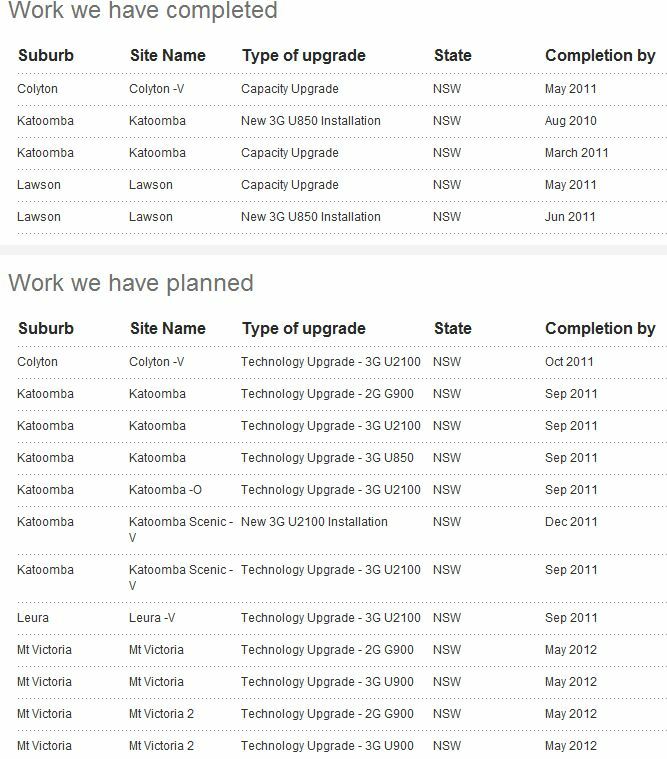 You are currently browsing the Katoomba Leura Online weblog archives for the day Thursday, August 25th, 2011.